Finely crafted in the USA from tig welded stainless steel. 4 - .25" holes for attaching to your cabinet or furniture base. 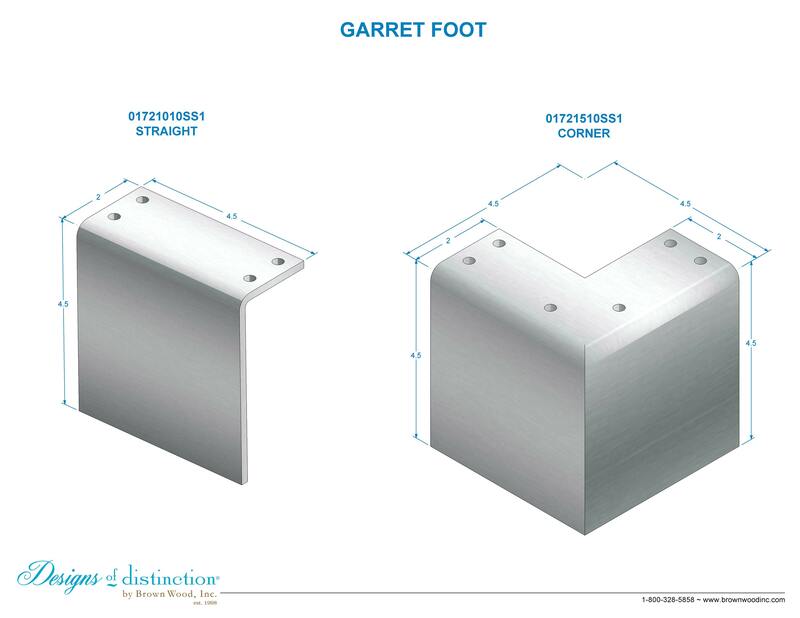 Add the Garret Stainless Steel feet to your kitchen for an ultra modern appeal with functional design to protect from dings and dents. 1/8" thick stainless steel provides exceptional strength. Matching components available in the Urban Collection.